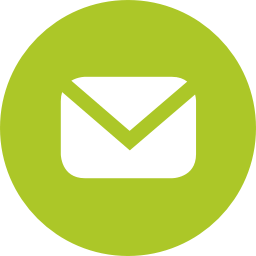 With the email marketing software SmartSerialMail you will be able to create informative newsletters, personalize serial emails, and send out bulk mailings. And all this in accordance with the current data protection regulations! In spite of the success of social networks one fact remains: email marketing is effective. The powerful email marketing software enables you to create a personalized email for every single recipient from HTML templates. Writing your bulk emails is simple: it feels just like writing a serial letter in your word processing software. The first steps into your own newsletter campaign will be child's play. Simply use the integrated "Getting Started Wizard"! In addition, you can copy MS Outlook account settings into SmartSerialMail - and it goes without saying that you can connect your pre-existing adress database. The Ribbon user interface (known from MS Outlook or MS Office) guarantees an easy overview. Design creative serial emails and newsletters in the integrated HTML editor. Import recipient lists from different formats (Excel, Outlook, SQL etc.) and update them (in the Enterprise Edition only). Use blacklists and make sure you never send out unwanted emails. Send emails in intervals to lighten the load on your network and subvert sending limits. Protect the privacy of your customers and observe international data protection laws. Digitally sign emails with S/MIME. * only available in the Enterprise Edition. Import recipient lists from various sources (e.g. Microsoft Excel, Outlook, or your very own customer database) and define any number of distribution lists. The Enterprise Edition enables you to quickly update and filter address lists. Be creative! Design your individual newsletter or bulk email in the SmartSerialMail HTML editor. Use flexible placeholders and Quick Parts to address your customers personally and insert content automatically. Want to know how successfull email marketing can be? Simply use email tracking to keep an eye on your campains! All sending tasks run in the background. SmartSerialMail saves the delivery status of each task - you will never send out the same email twice to an address. Use the SmartSerialMail Enterprise Edition to send out unlimited emails. In the SmallBusiness Edition, a maximum of 10,000 emails can be send with each sending task - but you can simply use an unlimited number of tasks to get your emails out there. Take the Visual Tour and learn how to get started with your very own email marketing campaign!